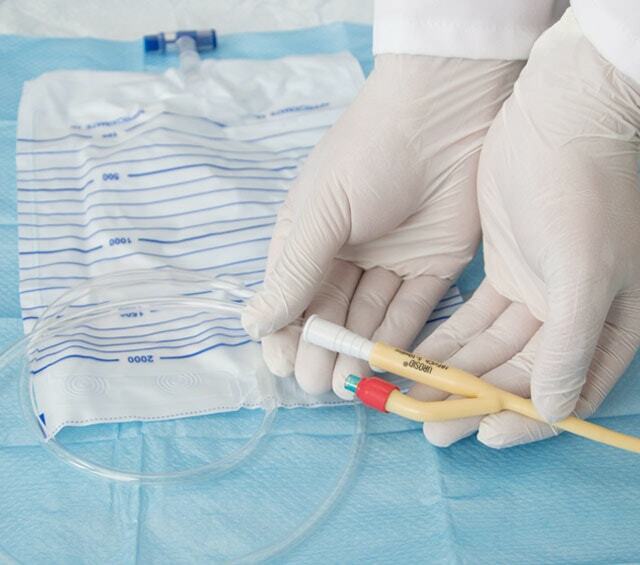 Bladder catheters often come into use in postoperative care in hospitals, urology practices and care facilities. In addition to balloon catheters, we also offer you the required accessories for applying catheters. 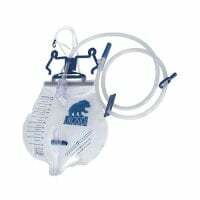 Bladder catheters and accessories can be purchased from us at affordable prices. In this category, you will find practical sets for inserting or changing bladder catheters. Whether you need bed bags to care for bed-ridden patients or leg bags for mobile patients: you will find the right catheter bag for every requirement, here. Discover our wide selection of high-quality balloon catheters made from silicone or latex; available for adults and children. 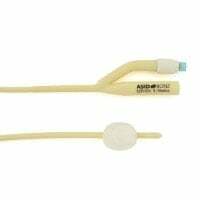 Bladder catheters are often used in postoperative patient treatment or a balloon catheter can also be used in a care facility for micturition disturbances. The application of transurethral catheterisation must be weighed against the risk of urinary tract infections. The sterile insertion of the bladder catheter carries an especially important meaning next to the careful monitoring of the applied catheter. Therefore, a professional, hygienic work method is enormously important when inserting a bladder catheter. The indications for the suprapubic and transurethral application of a bladder catheter differ, whereas the common principle of the shortest possible indwelling time applies to minimise the risk of infections in the urinary tract or bladder. For example, the use of indwelling catheters for balancing purposes is justified with chronically-ill patients, whereas urine diversion via a balloon catheter is not indicated for incontinent patients unless the catheterisation is done for healing wounds within the perineal area. Preferably, the determination for bladder catheterisation should be examined by a doctor. Catheter sets offer the ability to insert a bladder catheter in a structured, sterile and time-saving manner. We offer you complete sets with a catheter, as well as sets with diverse compositions for transurethral bladder catheterisation. Our pragmatically optimised sets for micturition can be purchased at reasonable prices. Catheter bags for hygienically collecting the diverted urine can be found in various sizes within our shop. In addition to urine drainage systems for bed-ridden or immobile patients, we offer catheter bags for the legs and hips. With less fill volume and the ability to fasten them to the body, these hanging bags increase the mobility of the person wearing the indwelling catheter. The indwelling catheter must justifiably have high material standards, as it should be mucosa friendly, anti-infectious, easy to insert into the urinary tract and have stable openings. These are made of silicone or siloconised latex and available with various specifications, which can also be applied for men with difficult urinary passages. Our indwelling catheters can be simply and conveniently ordered at good prices. If you were not able to find the correct product, simply speak to us and we will attempt to help. Do you have questions about our products or regarding our category Bladder Catheters and Accessories? Our customer service can be reached by telephone, email or chat.